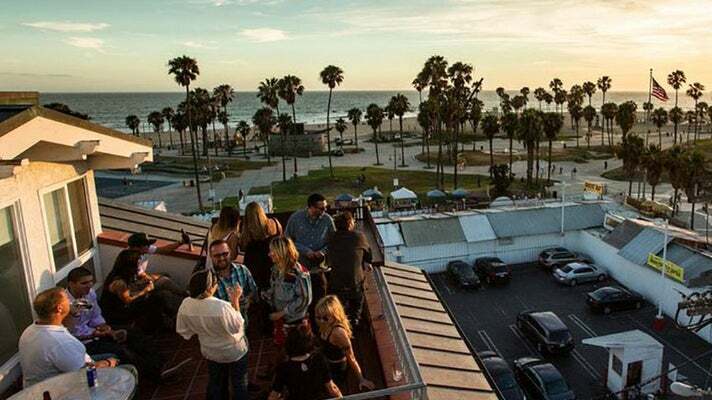 Los Angeles Venues with a View | meetL.A. Hotel Erwin, a funky beach-front hotel in Venice Beach, offers a number of unique special event and meeting spaces for groups ranging from small meetings to large receptions. 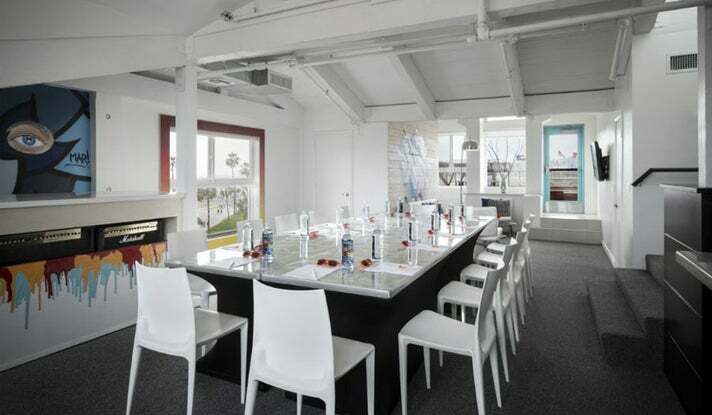 The Red Bull Dogtown Suite, their ocean front facing penthouse, features 750 square feet of space and can accommodate up to 35 guests for intimate receptions and up to 20 guests for creative-thinking meetings. It boasts a spacious kitchenette, unique DJ booth and a private ocean view balcony. Designed to reflect its location in Downtown Los Angeles, the JW Marriott at L.A. LIVE provides a deluxe level of comfort and personal service within a unique hotel environment. Guests enjoy convenient access to L.A., whether visiting the revitalized downtown area or other parts of the city. The three Olympic Meeting Rooms feature magnificent city views and a great atmosphere for meetings or events. The Ronald Reagan Presidential Library rests on a majestic hill overlooking the breathtaking views of Southern California and boasts rooms and outdoor venues capable of hosting intimate meetings for 10 or gala dinners for up to 1,500 guests. The Library offers a diverse selection of memorable settings but the most modern grandeur of the Air Force One Pavilion. 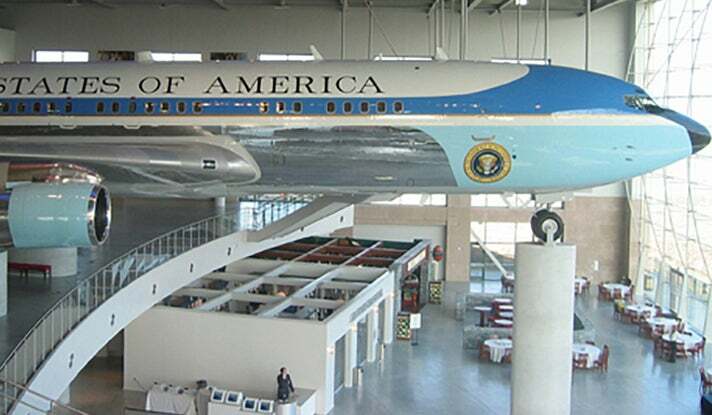 Hosting an event at the Air Force One Pavilion puts your event below the nose of Ronald Reagan's Air Force One, tail number 27000. The Air Force One Pavilion can accommodate up to 1,600 guests. 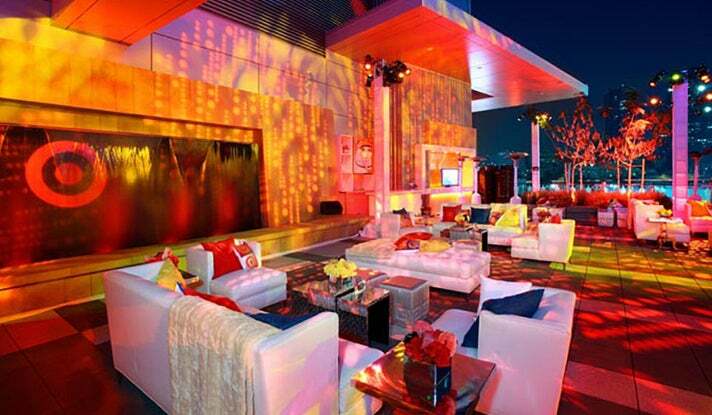 Combine the space with the Ambassador's Terrace for a perfect indoor/outdoor event. Equipped with 5,000 square feet of private event space, meeting rooms and sophisticated venues for social and professional endeavors alike, The Huntley Hotel is a unique destination for meetings and events. All day meetings and professional gatherings reach new levels of productivity when hosted in the refined yet relaxed Crystal Room, marked by a wealth of natural light, outdoor balconies and views of sunny Santa Monica. 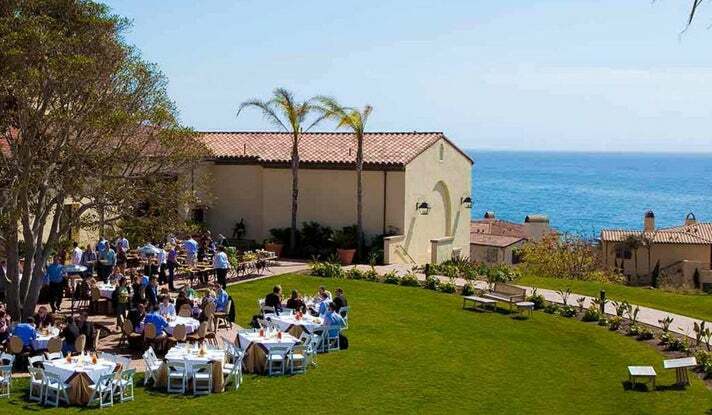 The Terranea Resort features 60,000 square feet of state-of-the-art indoor meeting and event space including the 18,000 square-foot Palos Verdes Grand Ballroom, 6,600 square foot Marineland Ballroom, fifteen breakout rooms and three boardrooms. All 75,000 square feet of outdoor event space offers breathtaking ocean views. From arrival to departure, the resort ensures an unforgettable experience in an extraordinary environment. 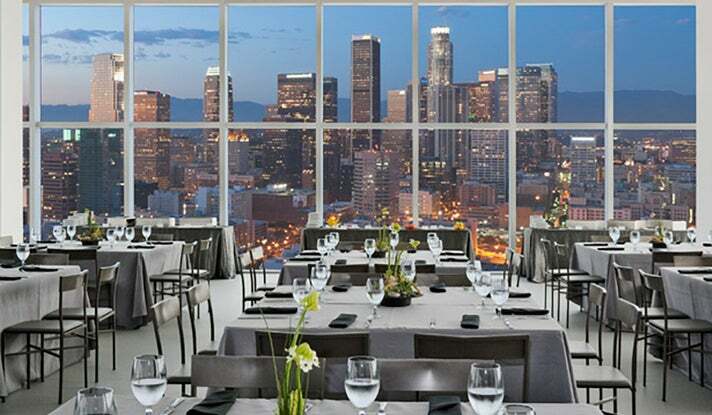 Located in Downtown L.A., the South Park Center is a sleek skyscraper with plenty of event space ideally suited for corporate meetings. The 32nd floor is a panoramic penthouse suite with jaw-dropping views of the city. The Concourse Level features a fully equipped 500-seat theater for corporate events, dinners and meetings. Food is provided by Joachim Splichal’s Patina Catering. The London Hotel is home to L.A.’s largest Penthouse, an extraordinary two-bedroom suite for meetings or private events, featuring exclusive art and décor. Revel in over 11,000 square feet of glamorous surroundings designed in collaboration between Richmond Design and renowned British fashion designer Vivienne Westwood. 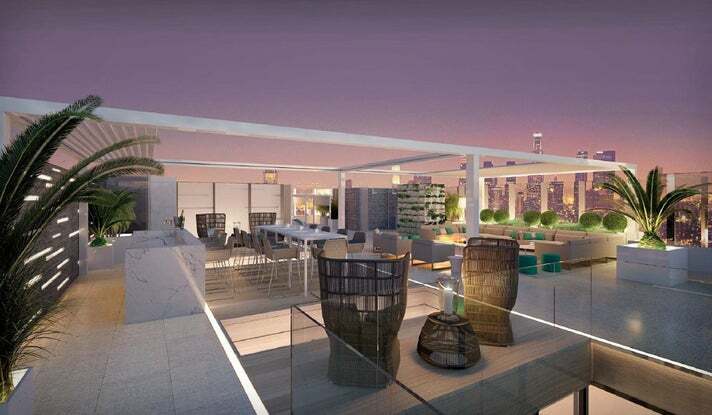 Surrounded by views of the L.A. skyline, guests will be able to lounge, relax, dine or enjoy drinks on a personal terrace complemented with a fire pit. Featuring a table for ten, modern kitchen and media room with sizeable screen. 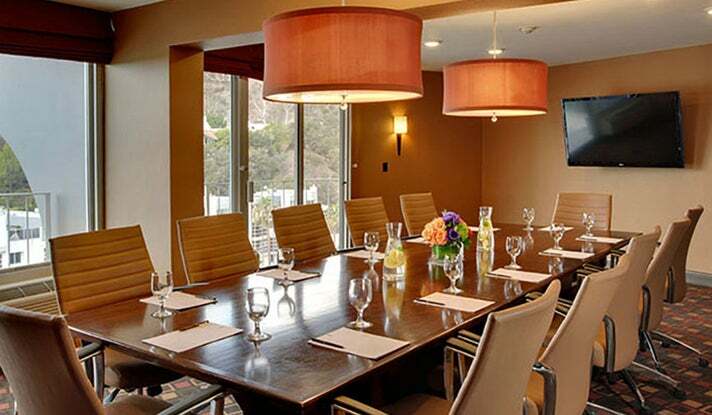 Hotel Angeleno has nearly 10,000 square feet of flexible meeting and event space. Each room boasts one of a kind stunning panoramic views of Los Angeles and the Pacific Coastline. The largest of their indoor spaces, the Canyon Ballroom boasts a 12-foot ceiling and floor-to-ceiling windows along its western facing wall. This allows for plenty of natural light and direct views of the Brentwood Hills and the Getty Center. The ballroom is perfect for a variety of events, including small conferences, workshops, private dinners and cocktail parties. The Target Terrace is a private space with 5,000 square feet available to create the perfect event, accommodating up to 300 guests with breathtaking views of the Downtown Los Angeles skyline and Hollywood sign. 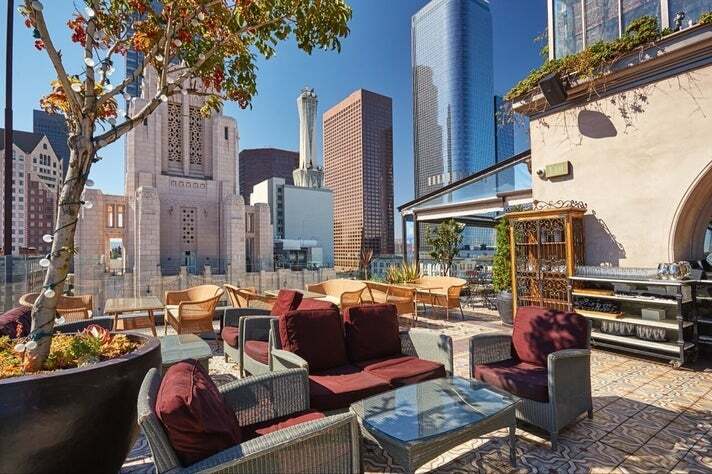 The Terrace is conveniently located between the GRAMMY Museum and The Novo by Microsoft. Perch LA is a unique restaurant venue that spans several floors of a downtown Los Angeles building. 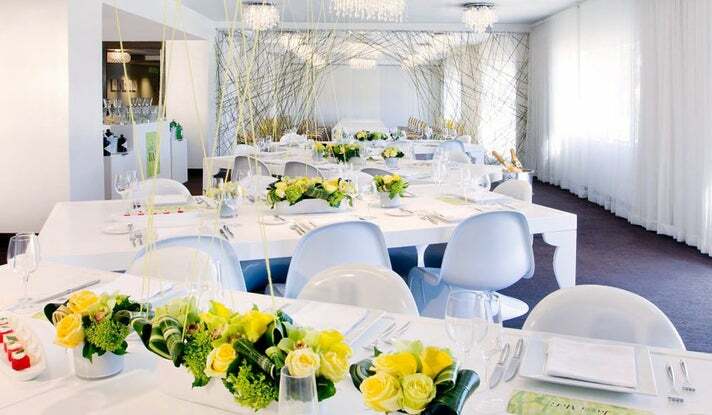 Several of their reserved areas can host receptions for up to 250 people, with specially catered food options for your event. It provides stellar food, outdoor seating, a vibrant atmosphere, and beautiful city skyline views, whether you choose the rooftop bar or even one of their lower floors. 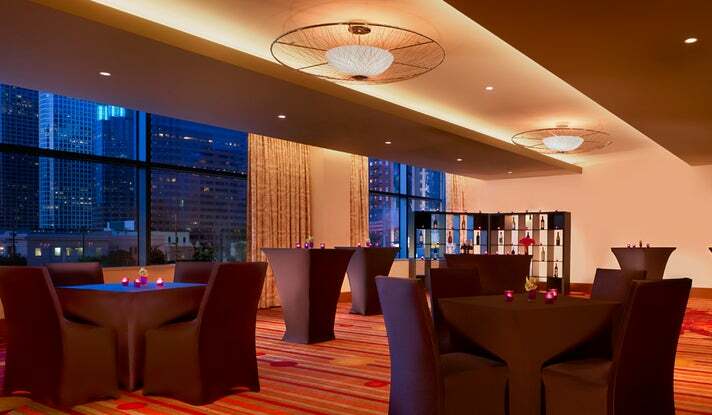 The newly opened Intercontinental Hotel offers numerous ballrooms and boardrooms for meetings and private events. Their grand ballroom specifically can host over 500 people in the boardroom and over 3000 for a reception. 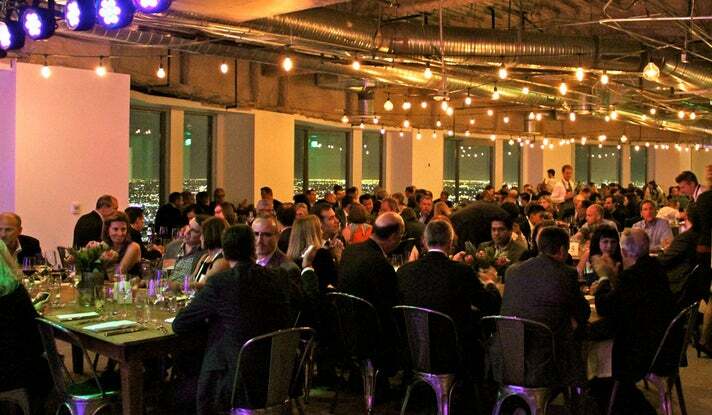 Attendees can also head to the restaurant and bar for a break on the 70th floor which showcases a fantastic view of downtown Los Angeles. Photo courtesy of InterContinental Los Angeles Downtown.